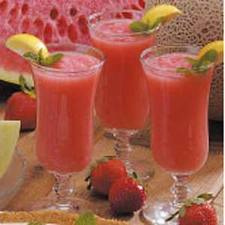 Try our Vino Slush HOT. Just make it with the normal directions, then serve it from a crock pot, heat it in a pan or microwave a mug instead of freezing it. Wow, is it delicious! make sure slush mix is completely dissolved. Mix all ingredients together, freeze until slushed. Mix and serve!